Happy Monday! I hope you all had a lovely Thanksgiving! Even though Minnesota winter hasn't quite yet made its way here (thankfully), I wanted to share with you this winter inspired board. Made especially for those who can't wait for the cooler weather, snowflakes, skiing, and the holiday spirit. 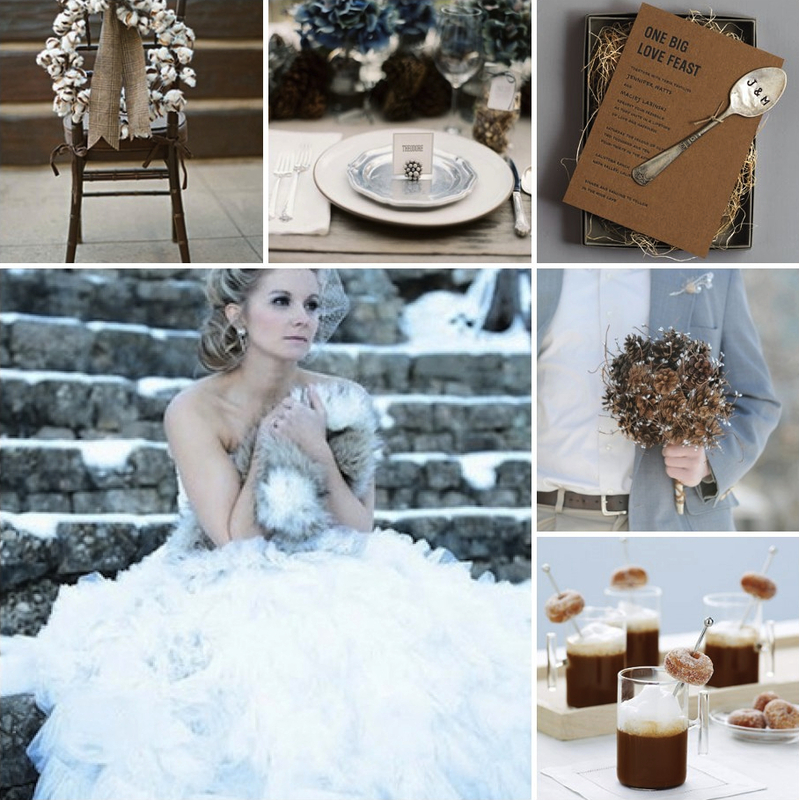 The board is a softer palette infused with natural winter elements for a cozy wedding day. Are you having a winter wedding? What are your styling plans for the day?